The Kingdom Pastor’s Library is a series of books that brings you a concise, complete pastoral philosophy and training from Tony Evans. 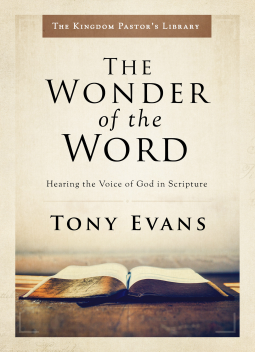 In this book, Tony Evans has given us an excellent explanation for the reliability of the Bible. His love and highest regard for the Scripture shines through in every sentence in this book. The information the author coveys to us is faith-building and calls us to  fully claim the preeminence of the Bible in our lives. This is a readable book that can be easily read by a layperson who desires to understand more about why we can trust the Bible. Some of the topics covered are: The revelation of Scripture; The inspiration of Scripture; The  illumination of Scripture; The interpretation of Scripture; and The canonicity of Scripture. This would be a good book for discussion by a small group or Sunday School class..